A wreath-laying event was held on Wednesday in District Police Lines Srinagar where tributes were paid to the slain SOG constable Kamal Kishore, a resident of village Reasi who was killed during an encounter in Fateh Kadal area of Srinagar. 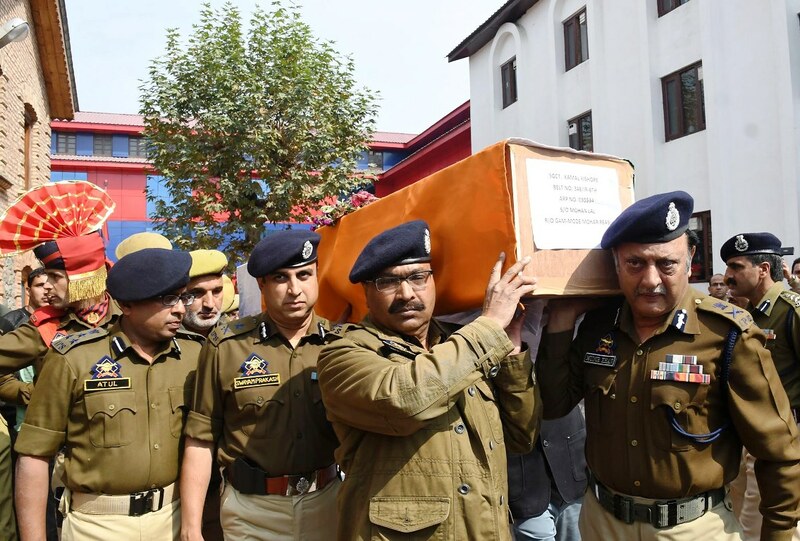 Senior police officers carry the body of a slain cop at DPL Srinagar. 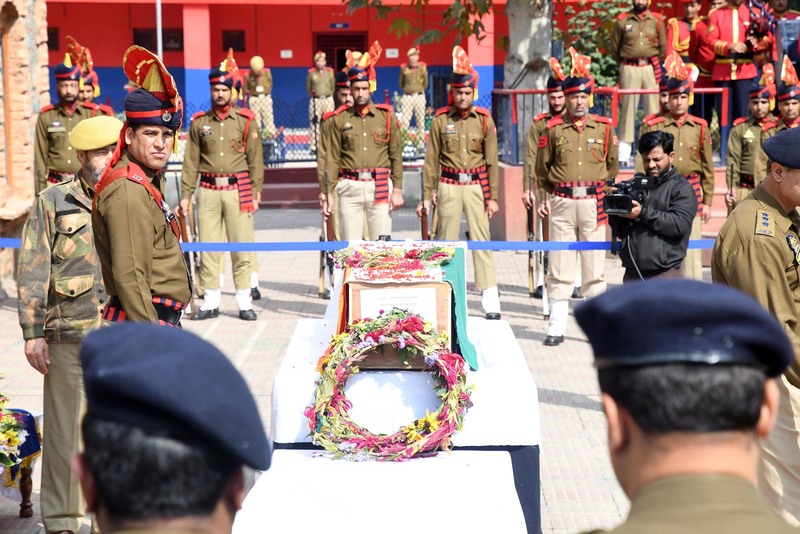 A police spokesperson in a statement said that civil and Police Officers led by Director General of Police Dilbagh Singh laid floral wreaths on the mortal remains and paid rich tributes to the slain who made supreme sacrifice in the line of duty. “Among others who paid rich tributes includes Director Vigilance S.J.M Gillani-IPS, ADGP Law & Order/security/Home Guard Muneer Ahmad Khan-IPS, IGP Kashmir Swayam Prakash Pani-IPS, DIG NKR Atul Goyal-IPS, DIG CRPF North Karannagar Shalinder Singh, DC Srinagar Syed Abid Rashid Shah-IAS, Commandant IR 6th Bn Shri Swaran Singh Kotwal-JKPS & others officers and Jawans,” the police spokesman said.